The Group is registered with HM Revenue & Customs to claim repayment of tax on membership subscriptions under the Gift Aid Scheme. 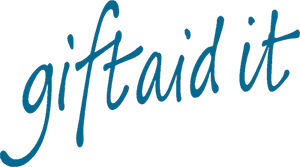 Using Gift Aid means that for every pound you give, we get an extra 25p from HMRC, helping your payment go further. This means that every £10 can be turned into £12.50 just so long as payments are made through Gift Aid. Imagine what a difference that can make and it doesn’t cost you a thing! Even better, we can backdate our claims to include subscriptions paid from April 2000. Remember that for every £1 we collect in subs, the Group has to raise another £2 just to keep operating, so if you want your payment to go further, Gift Aid it! Just complete & sign the form below and send it back to us.